If you use Fellowship One for your church's management software, you can access the contact groups you have in Fellowship One within your Call-Em-All account. The setup is simple and the steps are outlined below. Log in to your Fellowship One portal. Click on Admin and choose Applications under Integration. Find Call-Em-All in the list of 3rd Party Applications and click on the Call-Em-All application to enable access. Click on the Grant access button to allow Call-Em-All to retrieve your church data from Fellowship One. Log in to your Call-Em-All account using your Call-Em-All Username and Password. Once logged in hover over your name in the top right corner and click SETTINGS. Then, click INTEGRATIONS on the left side of the page. Within the Integrations section, click on the Fellowship One logo to add the connection. 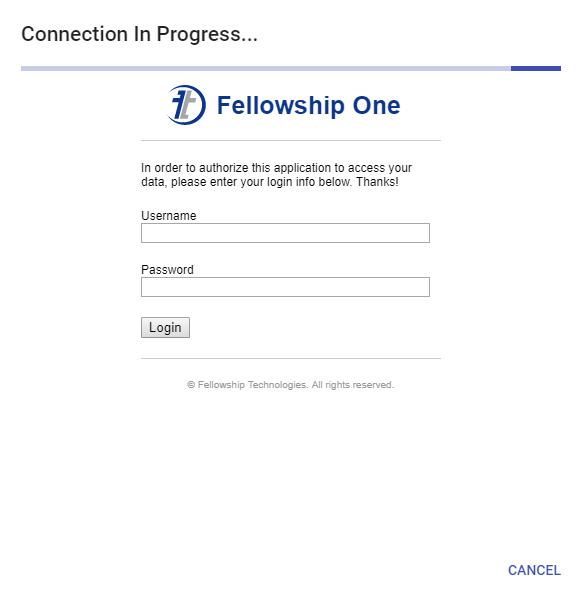 Enter in your Church Code you use to log into Fellowship One. Be sure to enter your correct Church Subdomain. Once verifying your information is correct press Connect Me. 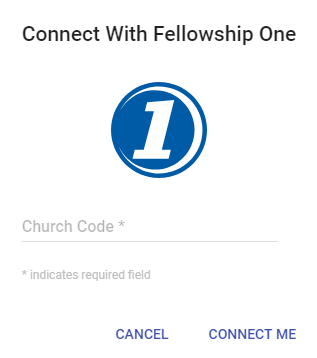 Once you've entered your Church Code, press the CONNECT ME button to launch a new window to log into your Fellowship One account. This screen allows us to access your account without the need to know your login information. Your username and passwords are never stored by us. Once you are connected, you are ready to create a broadcast using your Fellowship One groups. 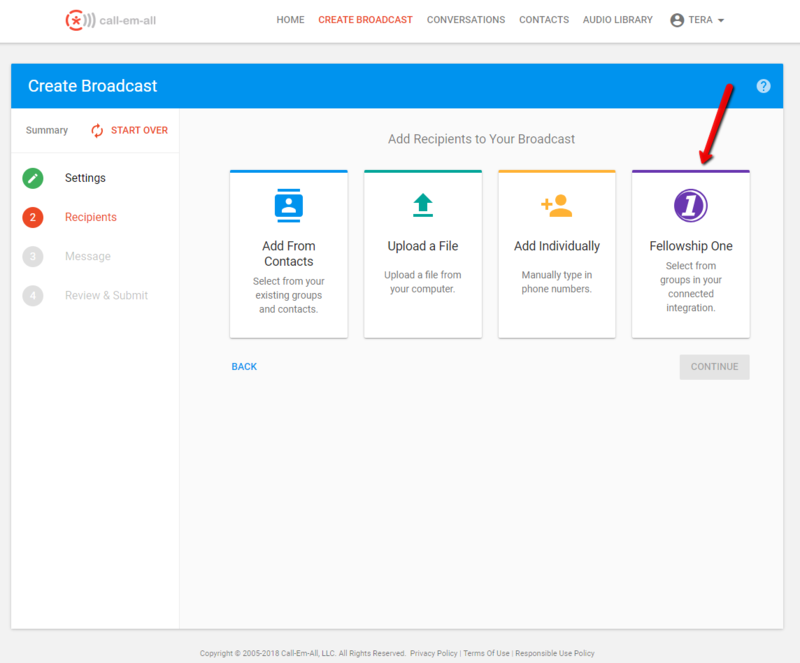 In step 2 of broadcast creation, a new button will appear which allows you to choose the groups stored within Fellowship One. Click this button and choose any of the groups you'd like to include in the broadcast. Continue creating the broadcast as you have in the past.